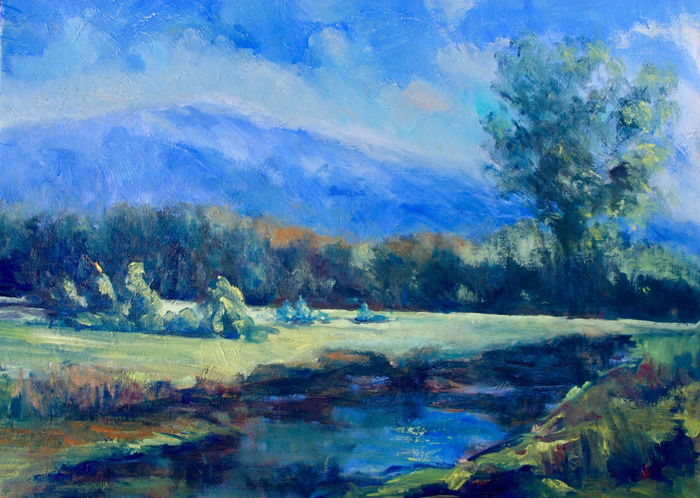 Art’s Alive is dedicated to increasing awareness and appreciation of Vermont visual artists. Please join us in welcome the Annual Open Photo Exhibit. Beginning in 2012 Art’s Alive dedicated its Winter Exhibition to the Art of Photography. In 2012 two photographers, Rick Jasany and Kevin Morin were chosen to exhibit. In 2013 the exhibition was expanded to four photographers and featured Robin Katrick, Trine Wilson, Melissa Thebarge & Laina Johnson. 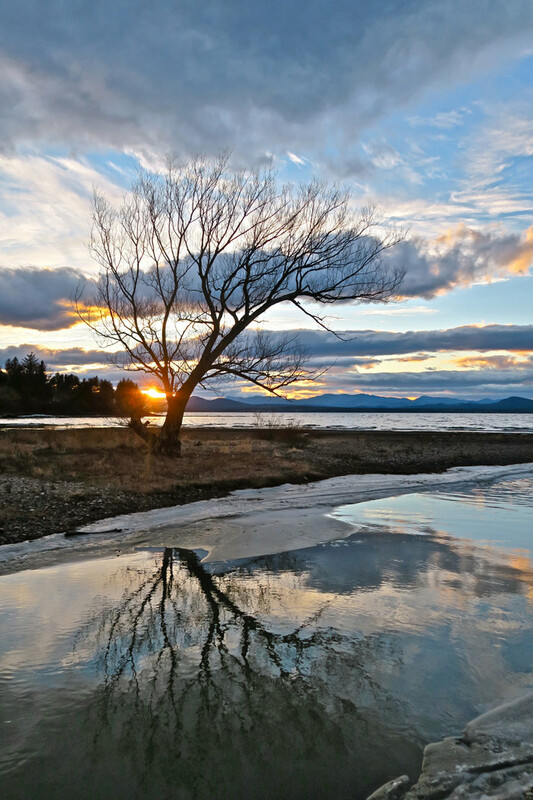 Five years ago the decision was made to expand this exhibition to an open call to all resident Vermont Photographers, inviting artists to present their work for display. This exhibit will run from January-February 2019. Art’s Alive is excited to welcome the students from the Bellcate School. Josh Sinz teaches art at the Bellcate School in Essex. They are a small independent grass roots school, with blended therapeutic/academic programs serving the needs of students with individualized learning styles. In this exhibit students will show their artwork that deals with Fiber/ Folk art, “Up-cycled”, identity pieces. Students have multiple visual arts classes where they have the opportunity to create individualistic forms of artwork and use a variety of techniques/materials to discover methods to which they can achieve their desired outcome. 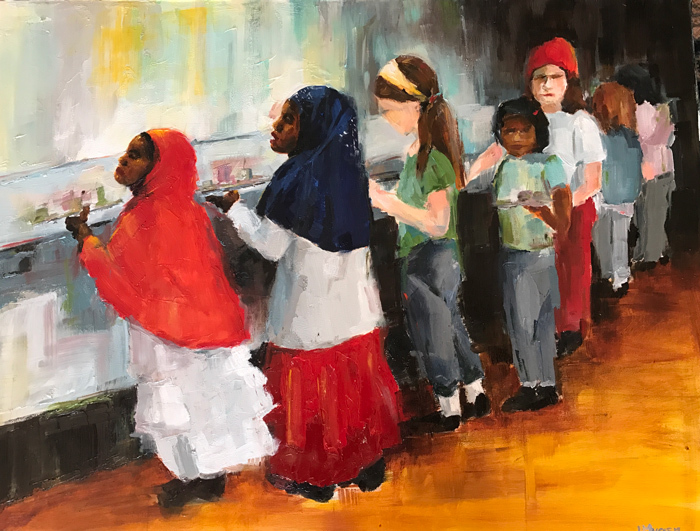 Please join the teachers and students of Bellcate School for their Opening Reception on July 13th from 5-8pm. (1 Main Street) This exhibit runs until the end of July. Founded in 1995, the Vermont Watercolor Society (VWS) is dedicated to promoting the awareness and appreciation of watercolor to its membership of all levels of ability and to the community by providing opportunities and venues for participation, education, fellowship, and exhibitions. Opening reception during First Friday Art. Art’s Alive welcomes The Northern Vermont Artist Association’s annual group show at Union Station, featuring works by several NVAA artists. 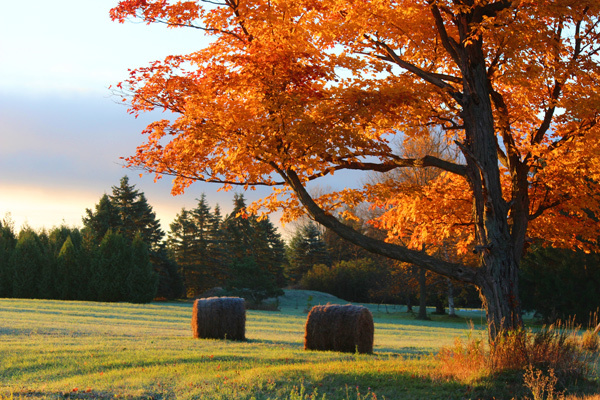 The NVAA was founded in Burlington in 1931, and membership is open to all visual artists. Dues are $15 annually. To learn more, email NVAA president Janet Bonneau or NVAA vice president Robert Waldo Brunelle, Jr.
Art’s Alive is proud to be hosting its Annual Art Hop Facebook First 50 exhibition, continuing a Burlington tradition dating back to the Pascal Spengemann era at BCA. First 50 is a democratic exhibition which provides a showcase for emerging amateur artists to exhibit their work alongside professional artists well into their post-emergent careers. “Slice of Life: Everyday Experiences & Snippets of an Artist’s Life” group exhibit in a variety of media welcomes you to enjoy a glimpse into an Artist’s life, ranging from the most intimate to the most public moments. “Class of 2016” artwork from 6 area schools: Mt. Mansfield Union, Champlain Valley Union, Burlington, South Burlington, Essex and Colchester. Art’s Alive is dedicated to increasing awareness and appreciation of Vermont visual artists. 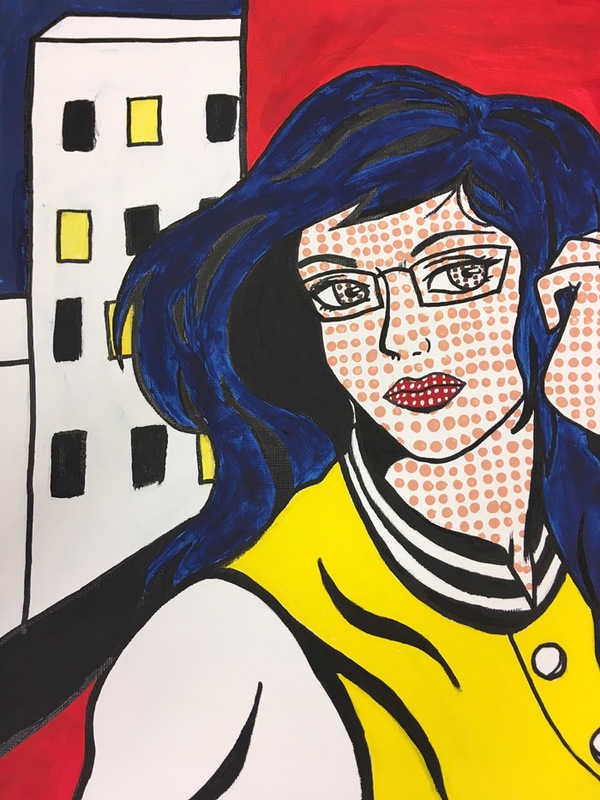 Art’s Alive, in conjunction with Seaba Burlington, and Main Street Landing Performing Arts Center is pleased to be hosting Steps to End Domestic Violence group show. There will be an opening reception at Union Station on Friday, January 6 from 5-7 PM as part of the Art Map Burlington’s First Friday. We would hope to have as many artists present, as possible, to talk about your pieces and collectively dream of a world free of violence. 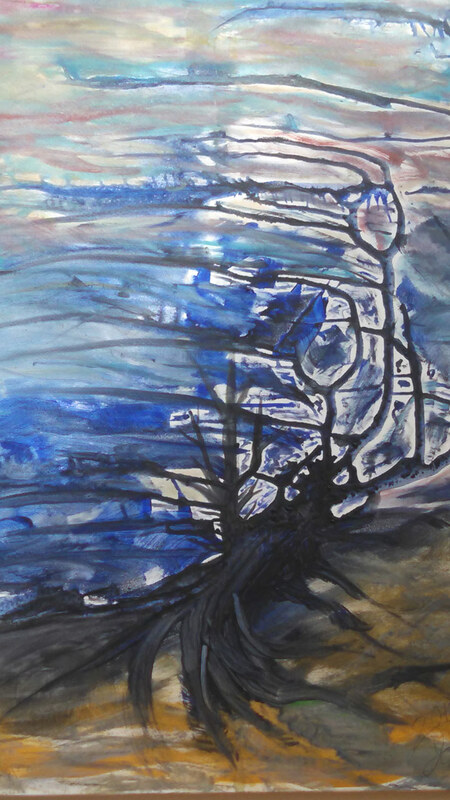 Art’s Alive welcomes Eco-Artist Anne Cummings, to The Gallery @ Main Street Landing for the New Year. Anne creates from her conviction to reduce, reuse, and recycle. The work in this exhibition exemplifies the idea of renewal in many ways, including through giving new life to the materials used, re-committing to the causes that form her core environmental beliefs, and renewing her spiritual connection to our natural world. Founded in 1995, the Vermont Watercolor Society (VWS) is dedicated to promoting the awareness and appreciation of watercolor to its membership of all levels of ability and to the community by providing opportunities and venues for participation, education, fellowship, and exhibitions. Opening reception during First Friday Art. Curated by SEABA. 1 Main St, (802) 859-9222, M-F, 8-3; Sat-Sun, by appt. 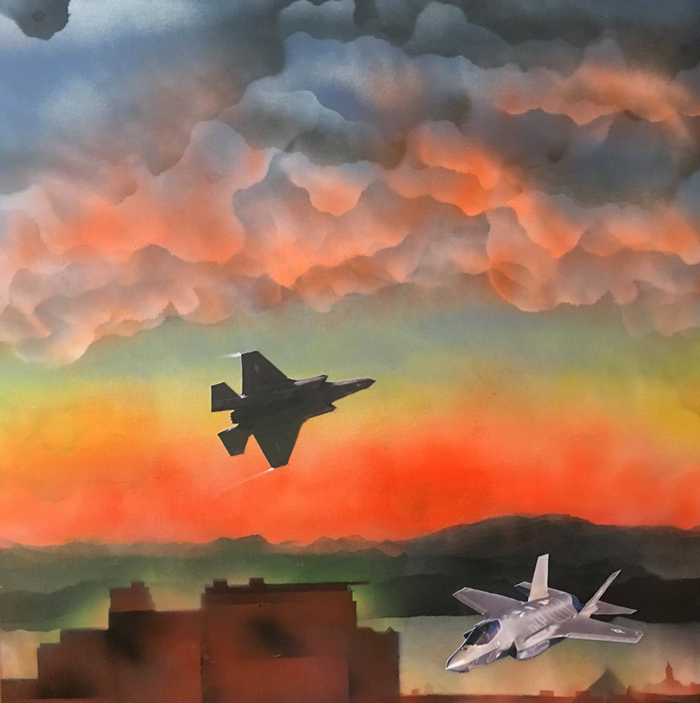 Art’s Alive, in conjunction with Seaba Burlington, and Main Street Landing Performing Arts Center is pleased to be hosting The Vermont Watercolor Society: Burlington/St. Albans Hub Group Show, through the month of November. The Vermont Watercolor Society (VWS) was founded by a small group of painters in 1995 and today is well over 240 members strong. 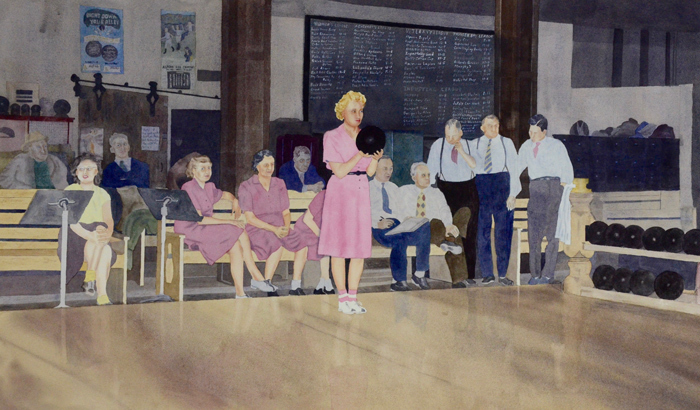 VWS is dedicated to promoting the awareness and appreciation of watercolor to its membership of all levels of ability and to the community by providing opportunities and venues for participation, education, fellowship, and exhibitions. Vermont Comic Creators Group is a statewide Comic Arts organization dedicated to the promotion and support of both Vermont Comic Creators group; a coalition of over 100 VT-based comic creators, the VT comic scene, grass-roots education and the comics medium in general. It was a pleasure having the VTCCG showcase their work for the month of February in the Gallery at Main Street Landing. This year, more than 8,000 photos were entered in Audubon's ninth annual contest. That's almost 2,500 more than last year, and entrants came from all 50 states, Washington, D.C., and 10 Canadian provinces. No matter where they were taken, all of the images evoke the splendor, resilience, and ingenuity of birdlife. The winning photos were published in the Summer 2018 issue of Audubon Magazine and show birdlife at it's most vivid, vulnerable, formidable, and elegant. Photographers submitted images in three categories: professional, amateur, and youth. A panel of five judges has the dauting task of sifting through the stunning images and grading them based on technical quality, originality, and artistic merit. Vermont Comic Creators Group is a statewide Comic Arts organization dedicated to the promotion and support of both Vermont Comic Creators group; a coalition of over 100 VT-based comic creators, the VT comic scene, grass-roots education and the comics medium in general. It was a pleasure having the VTCCG showcase their work for the month of February in the Gallery at Main Street Landing. Arts Alive SEABA and Main Street Landing would like to welcome local artist Timothy Santimore to The Gallery starting November running through the end of December. Timothy's acrylic work is heavily influenced by Eastern philosophy ideas (especially those of Zen Buddhism) and energetic aesthetics of gestural abstraction. Accompanying Timothy in The Gallery's media exhibit, is Carl Knickerbocker with his 2016 short film "Night Periscope". Art’s Alive Seabe & The Gallery at Main Street Landing would like to welcome a Ashley Stagner, Beth Starger, Emily Mitchell, James Stewart, Mark Gonyea, and the Ehret Twins to The Gallery as a part of the 26th annual South End Art Hop. Art Hop brings thousands of residents, visitors, and the community together to celebrate the dynamic art, industry, and culture of the South End Arts District and provides an economic boost to creative businesses. This varied group will run through September to the end of October. Exhibiting artists and mediums include: Ashley Stargner, Printmaking ; Beth Starger, Oils & Mixed Media Canvas; Emily Mitchell, Acrylic Painting; Mark Gonyea, Digital Art; The Ehret Twins, Spray Paint & Acrylics; and James Stewart, Video Installation. 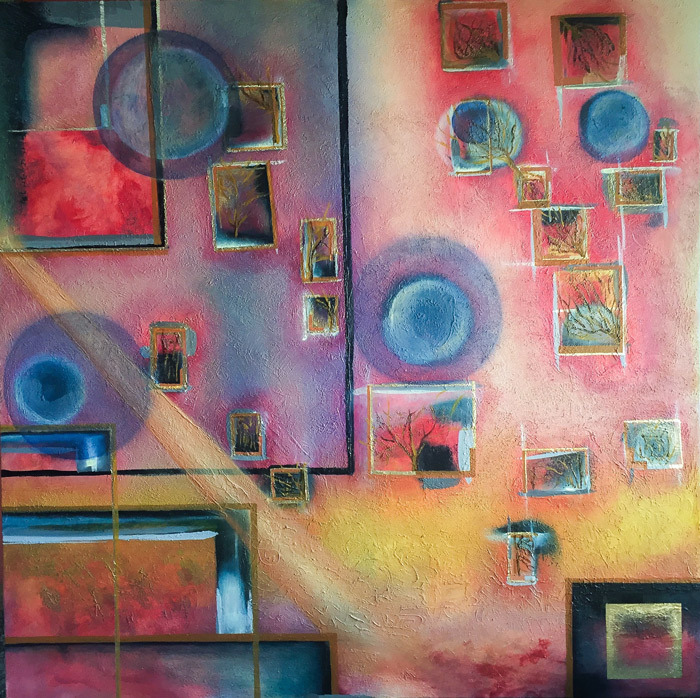 Art’s Alive, Seaba Burlington and Main Street Landing Performing Arts Center warmly welcomes Olga Verasen and her collection exhibit “Happy Home” to The Gallery starting in July. “Olga loves acrylic and watercolor. She uses a special technique for her paintings. When working with acrylic, Olga uses a sophisticated layer-by-layer technique of painting to create a special lighting effect. This technique works both on both canvas panel. 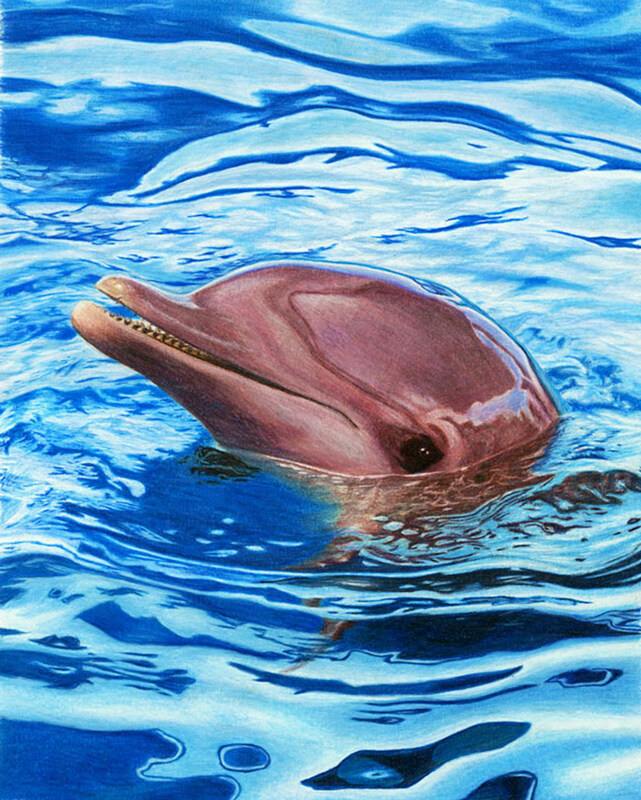 Olga also uses watercolor, in combination with pastel and other special techniques, to create illustrations for her children’s books. It allows her to keep an amazing brightness and light glowing from her artworks. Featured in this exhibit you will see pieces from “Lovely Vermont”, “Happy Colors of Time”, “Sunshine in our World”, “Magic Formula”, “On Wings of a Butterfly”, and “Where Fairy Tales Live”. Arts Alive would also like to welcome Video Artist, James Stewart and his interactive musical installation “Solipsism”. James Stewart is a local composer of many diverse musical genres and styles, from theater to film to the concert stage. He has written for jazz combos, symphony orchestras and electronics. “Solipsism” is an interactive musical technology program that captures live sound to produce a universe of sights and sounds. Visitors are invited to interact with the installation and watch it respond to the space, environment and sounds that are present. The piece is an exploration of how one impulse can shape the universe; how one event can spark so many others. This Exhibit will run through the end of August 2018. 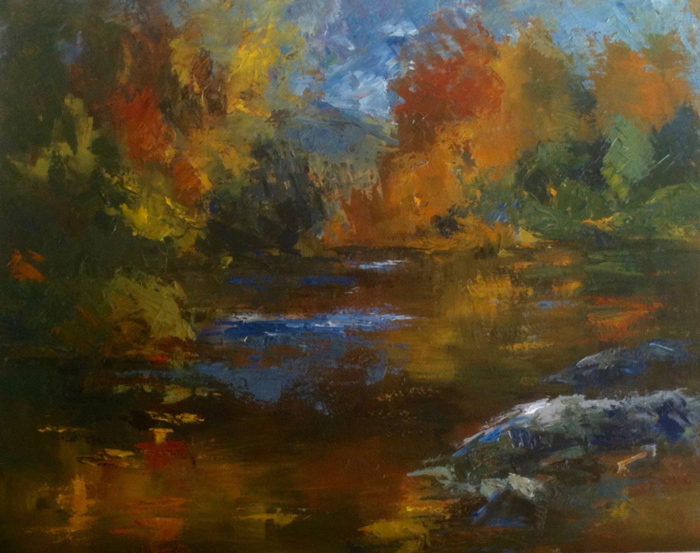 Art’s Alive, Seaba Burlington and Main Street Landing Performing Arts Center would like to present “UnderCurrent”, selected works by local Vermont painter and photographer, Tatiana E. Zelazo. We invite you to view Zelazo’s work in her first solo gallery show. Please join us May 4th, 2018 from 5-8pm, as part of Art Map Burlington’s Art Walk, to meet the Artist at her Opening Reception. This Exhibit will run through the end of June 2018. 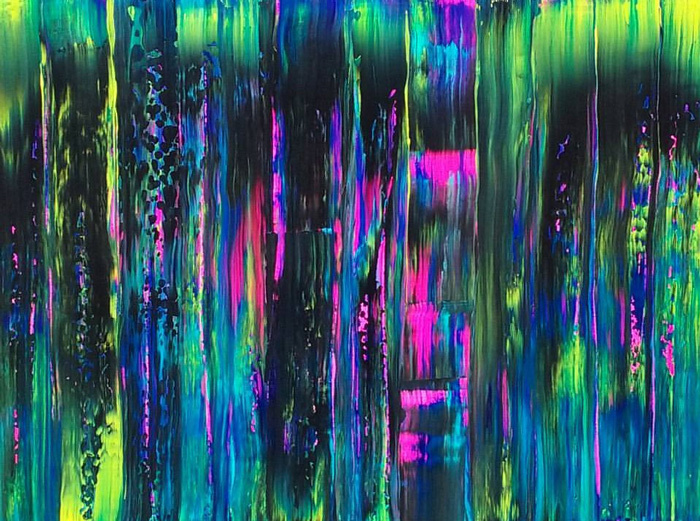 Burlington artist Frank DeAngelis’ “Paint Mayhem Under the Influence of Loud, Fast Music” is paint experiments that were produced using spray paint, acrylics, and oils mixed with various liquids and who knows what else! A Vermont native, Kyle Michael LaPine presents a collection of multimedia paintings and sculptures completed throughout 2017. 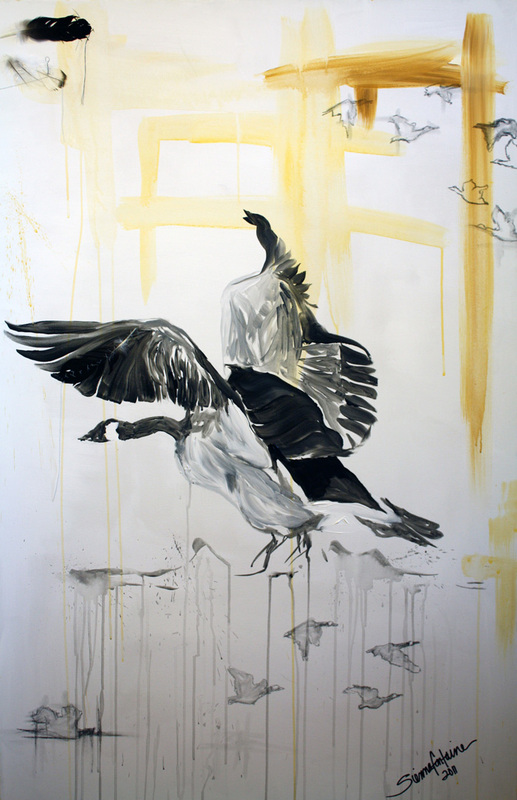 This series of work explores themes of trauma, transformation, hope and ritual. Vermont Comic Creators Group is a coalition of over 100 Vermont comic creators who support each other, the Vermont comics scene, grass-roots education and the comics medium in general. During the November First Friday Art Opening Reception, meet some of the masterminds behind the Vermont Comic Creators world, enjoy workshops/chats with participants, learn how to make your own comic or just be inspired by their creativity! Burlington-based art team BillyBob is William Coil and Robert Green. BillyBob has made buildings, gardens, stonework, produced music, designed CD and book covers, mosaic murals, and, in 2014, began a project of producing art as a team. The current exhibition represents a collection of new and older works. Influences include Orphic Cubism, Post-war Expressionism, science fiction book covers, street art and 60‘s psychedelia. 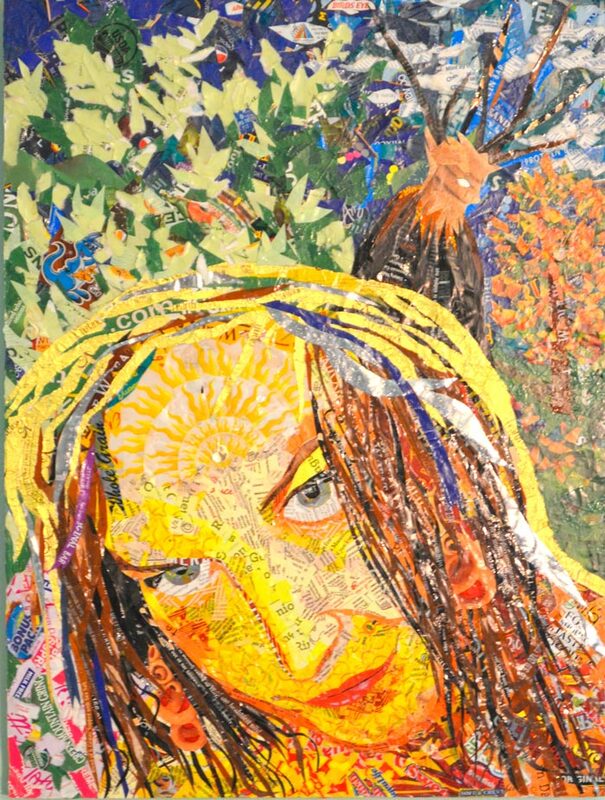 Hinesburg artist Rae Harrell’s “Still Out of my Mind” is a collection of fabric art, painting and sculpture. 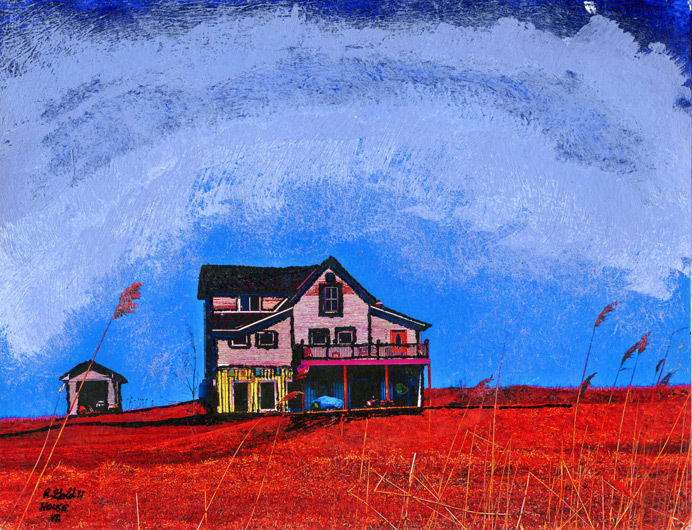 The Old Neighborhood: Paintings and Sculptures by Robert Waldo Brunelle, Jr.
Brunelle’s new series of paintings, “The Old Neighborhood”, is inspired by vintage photographs taken in his old hometown of Rutland, and other locations in Vermont, between 1850 and 1950. He has collected 19th century photography since he was a boy and likes to think of these photos as time machines. He imagines the colors and sounds that were happening the moment the photographer took that picture. 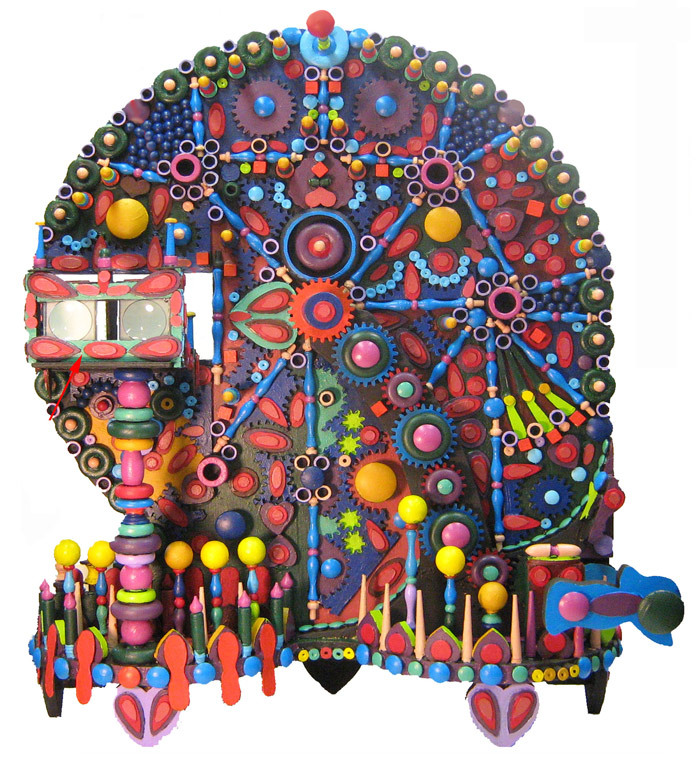 In addition to these paintings, this new show features a few of his amusing kinetic sculptures. He began making these when he was the art teacher at the Browns River Middle School. Like most art teachers, he was a pack rat, and his classroom was filled with odds and ends of various materials, which eventually found their way into these sculptures. The sculptures are fun to make, because they allow him to forget about subject matter, and instead, concentrate purely on form and color. Jacques Burke finds the world outside his door as an abstract pattern yet to be trapped on canvas. Not just the shapes, but colors and tones alike, letting nature take over and create the art itself. His unique techniques includes ink, water colors, acrylic, spray paint, different cut outs, gravity and an occasional metal slurpy straw…all this combined makes a very messy art room and a happy soul! Eco-artist Anne Cummings creates from her conviction to reduce, reuse, and recycle. 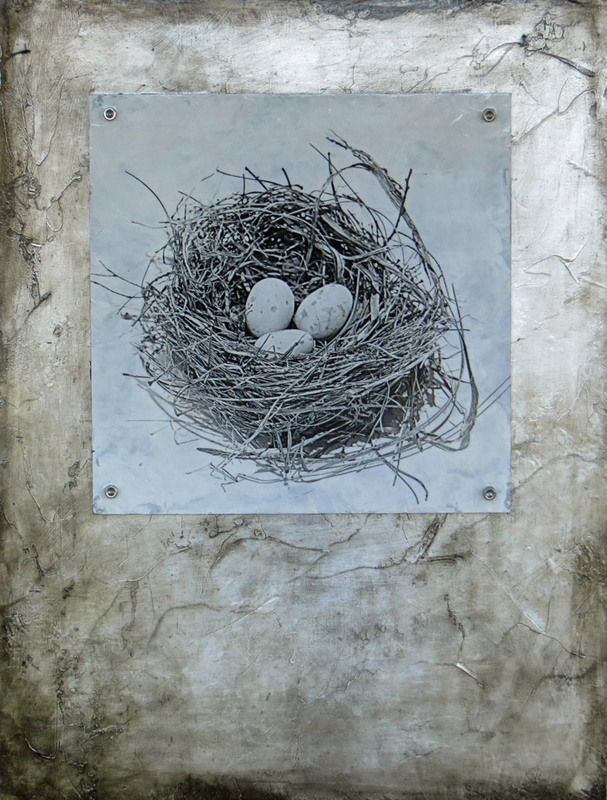 The work in this exhibition exemplifies the idea of renewal in many ways, including through giving new life to the materials used, re-committing to the causes that form her core environmental beliefs, and renewing her spiritual connection to our natural world. 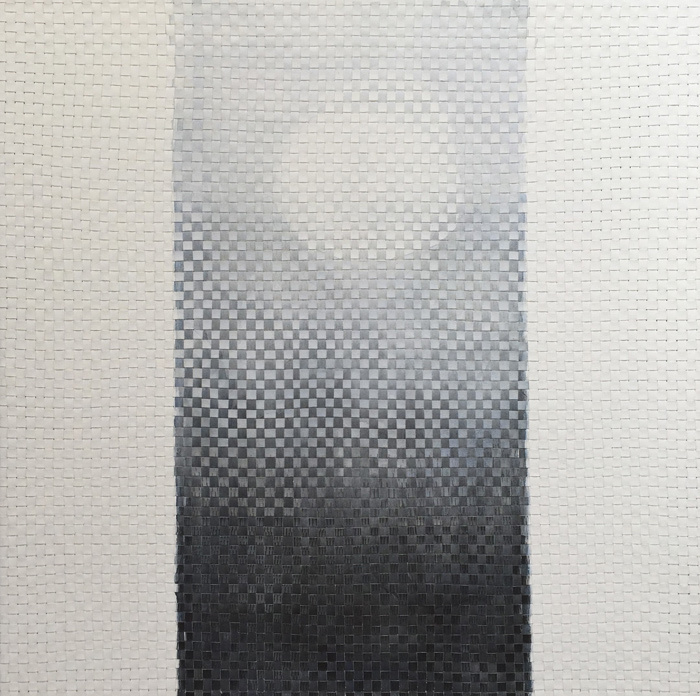 The pieces that Steve Sharon incorporated for this show involve a deep and heavy process of a paint method that he stumbled upon through chance and the artistic mind that comes with not having been schooled by Art teachers. 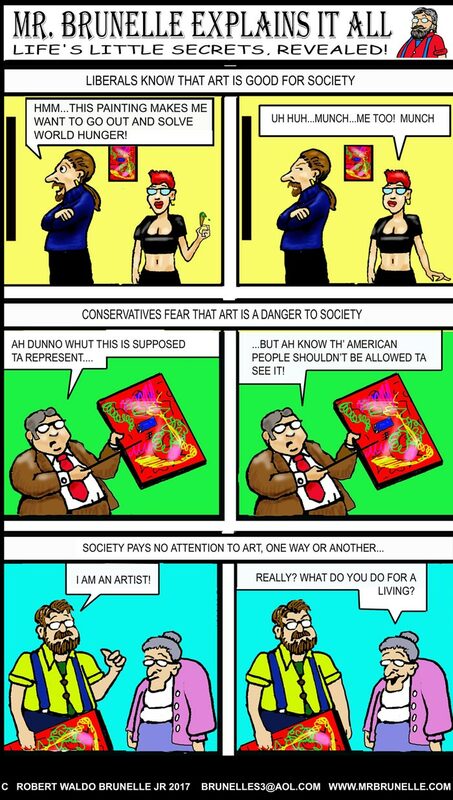 He went to school for music and has been a musician since the age of 14 and started painting about 5 years ago when his focus changed from music. The process he is showing within this show is to get a full on abstract visual of what certain colors look like when they come up from under a surface of complimentary moods and tones. The Abstract Expressionist in him wants the viewer to look upon the painting and come to their own conclusion as to what they see. As in all of us, we carry emotions which nurture a deep sense of reality inside our being, so what one person sees inside an abstract painting, another may see something completely different. It’s his goal to have his paintings be looked at for more than one to two minutes, the longer one gets lost inside a painting, the stronger that communication becomes apparent, strengthened and understood between the artist and the viewer. Open for South End Art Hop Weekend, September 9-11. 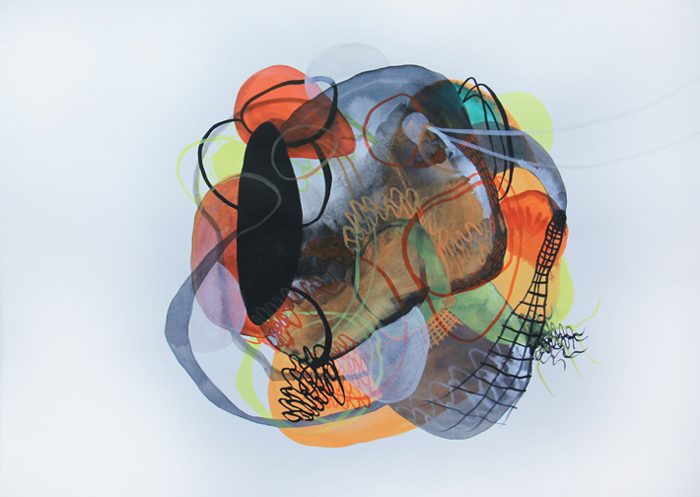 Katie Loesel‘s work uses abstraction and color to explore ideas of geological history, microscopic surfaces, and rocky formations. Her interest in human influence on climate change and plastic as a distinct marker of our current era play into the shapes and forms. Plastiglomerate is a new type of rock formation that has been proposed as a geological marker of our current epoch, the Anthropocene, created from a mixture of natural and sedimentary elements fused by plastic from the ocean. The horror and intrigue from this distinctly human interference inspires the shape, form, and color that meld together through layers in the artwork. The appearance of these objects in the work are strangely playful, yet expose our flaws as creators of this plastic virus that is becoming layered into our history. 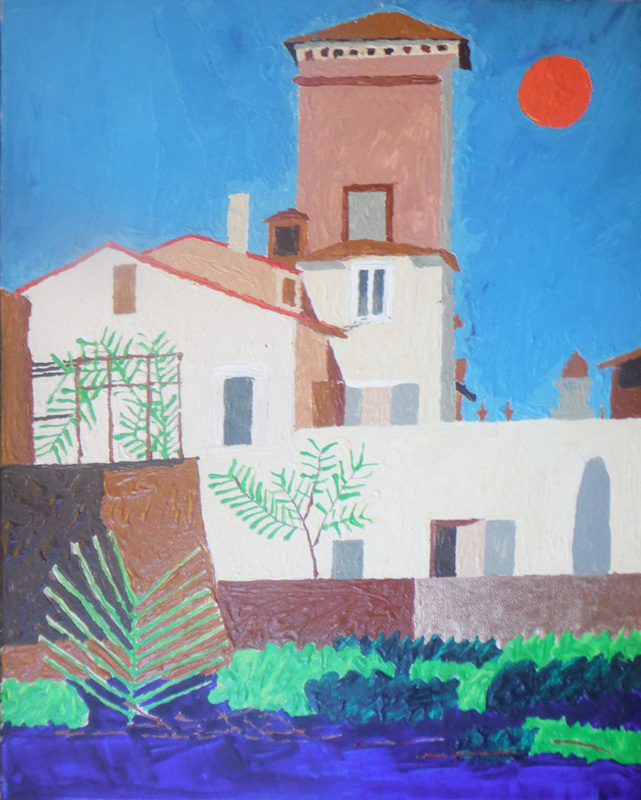 The subjects in the artwork develop and grow in complexity throughout the process of making and layering and range from simple, overlapping shapes, to complicated structures. Robert Gold’s work “strives to uncover the extraordinary hidden within the ordinary”. His process from start to end is a mixture of techniques and mediums. He takes photos with a digital camera and then works with them through several photo editing programs. He then prints out the image and embellishes the image with acrylic paints and inks. He now is pursuing a technique called “extreme printing” and will be the first artist to use this technique with color. 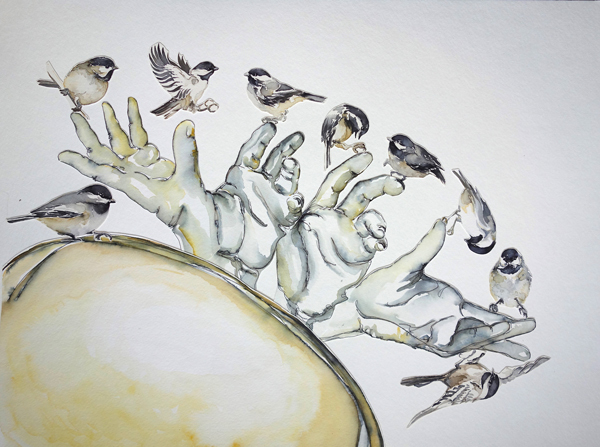 Nancy Tomczak’s spontaneous flow of color and added anatomical detail are combined with her watercolor paintings. Her collages of her watercolor images push the boundaries of her compositions. A life-long observer of birds has pooled her love of watercolor painting with seemingly endless inspiration. Artist reception during March’s First Friday Art.